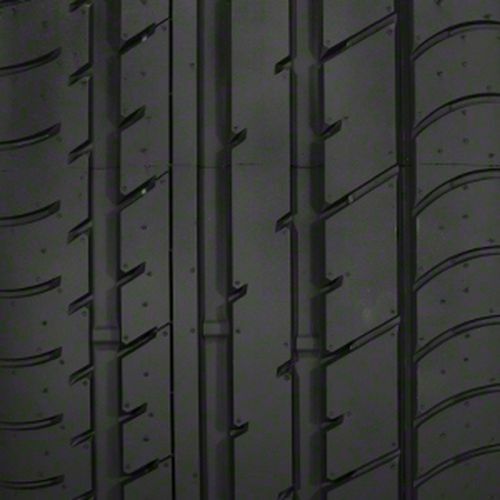 The Toyo Proxes T1 Sport is an ultra-high performance summer tire specially designed for drivers who want precise steering response, quick braking, and high-speed stability. Ideal for sports cars, the Toyo Proxes T1 Sport gives you the precision, control, and handling that you need to maneuver your car wherever you need it to. 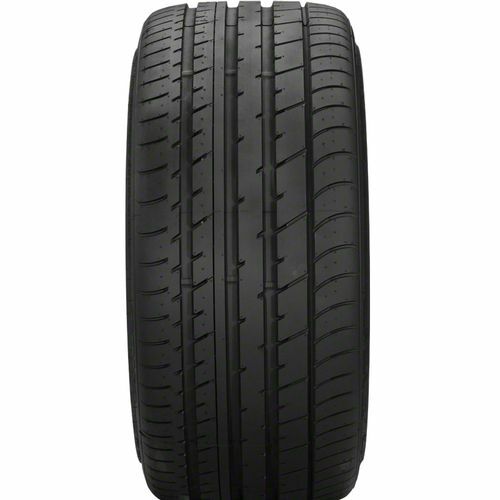 The outside tread features a wider and more even contact pressure for an enhanced cornering performance while the inside tread has wide grooves and a rigid rib-based design for excellent braking and higher hydroplaning resistance. For a quicker more linear response is the high stiffness sidewall and high hardness bead filler. The Toyo Proxes T1 Sport delivers performance expected from a Proxes but it doesn™t compromise on comfort an stability that allows you to enjoy a luxurious ride. 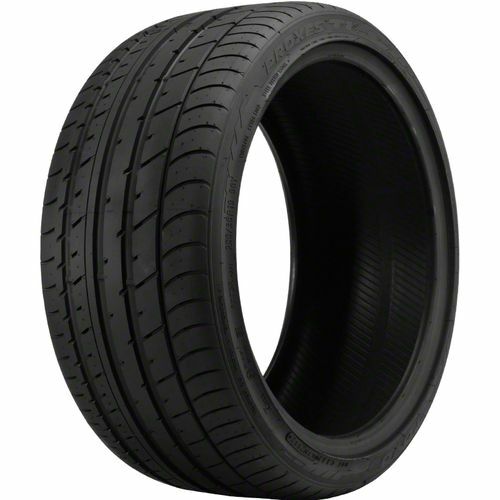 The Toyo Proxes T1 Sport is covered by a 20,000-mile treadwear warranty with a trial offer of 500 miles/45 days. 275/40R-20 240AAA 2,094 lbs 50 psi 10/32nds 9.0-(9.5)-11.0" 11" N/A 29"
Purchase includes the Toyo Proxes T1 Sport tire only. The wheel rim shown in the picture is not included. Picture provided is a stock picture from the manufacturer and may or may not reflect the actual product being ordered. All Toyo Proxes T1 Sport tires are continuously developing with manufactured improvements. With that said, Simple Tire and the manufacturers have the right to change these tire specifications at any time without notice or obligation. Please Note: Specifications of the Toyo Proxes T1 Sport tires shown above are listed to be as accurate as possible based on the information provided to us by Toyo tires. 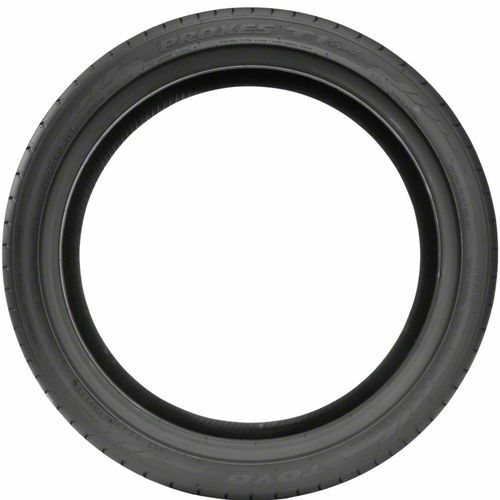 This product is covered by a 20,000 mile manufacturer’s treadlife warranty. This is an excellent Summer Tire. Mounted on a 2016 MX5 on a 17X9 Wheel. Tire size is 235-40-17. Compound on this tire is excellent for my use. Since the car is light, with a few AutoX runs and spirited driving, I was able to get 25,000 miles on them. Could have gotten more if was not for poor alignment. Tire is responsive on turn in and held corners with ease. Very predictable. I rate traction for it's tire category that is why it is a 5. Of course there are tires with more traction but with the expense of treadwear. Wet handling is quite surprising, I bested a lot and kept up with some 4WD cars in the rain in our local AutoX events. Also, bare in mind that ride noise maybe uniquely worst for me since my car is a convertible. I am on my second set.